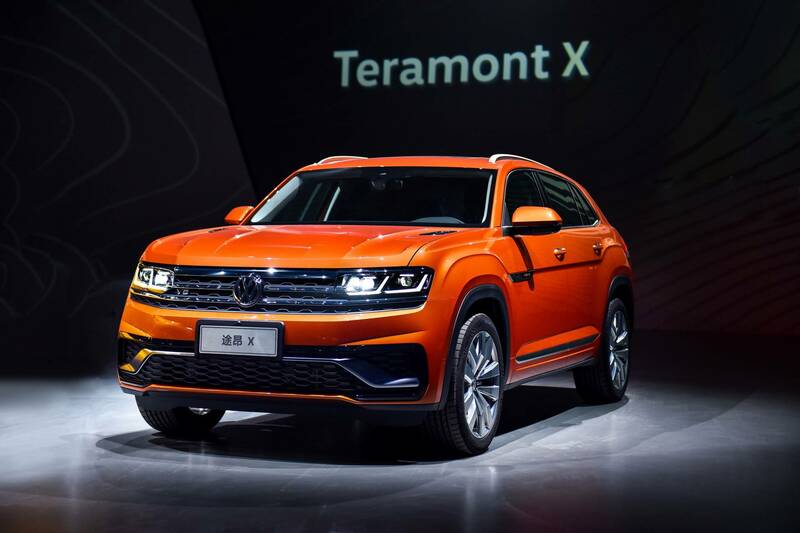 German car manufacturer Volkswagen AG has introduced two new crossover/SUV models at a special event in China. These are called the Teramont X Concept and the SUV Coupe Concept, although both are essentially coupe-like SUVs. The Volkswagen Teramont X is a prototype that the company intends to bring into mass production eventually. It measures 4,905 mm (16.1 ft.) long and has 2,980 mm (9.8 ft.) between the front and the rear axle. The manufacturer plans to ship it with a flexible range of engines to choose from, beginning with a 2.0-liter turbo unit rated at 186 hp (139 kW). Another option is a 2.5-liter V6 capable of 220 hp (164 kW), and the top trim comes with a potent 3.0-liter VR6 churning out almost 300 hp (224 kW). There is little being revealed about the Volkswagen SUV Coupe, though. The car will likely be based on the latest VW Tiguan, but this is not official yet. What we do know is that it will ship with a 2.0-liter gas engine, AWD and a seven-speed dual-clutch transmission. Both cars will be exhibited at the upcoming 2019 Shanghai Motor Show. Volkswagen will also introduce its Roomzz Concept SUV at the upcoming show in Shanghai. The car will be the largest in the whole I.D. family, and it won’t be released until at least 2020.